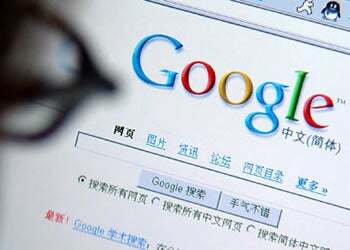 Chinese Students Behind Google Hacks? According to no less an authority than the New York Times, internet attacks on Google last month may be the work of students with ties to the Chinese military. Not so, responds one of the schools accused. Evidence acquired by a United States military contractor that faced the same attacks as Google has even led investigators to suspect a link to a specific computer science class, taught by a Ukrainian professor at the vocational school. I'm not surprised. Actually students hacking into foreign Web sites is quite normal... I believe there's two kinds of situations. One is it's a completely individual act of wrongdoing, done by one or two geek students in the school who are just keen on experimenting with their hacking skills learned from the school, since the sources in the school and network are so limited. Or it could be that one of the university's I.P. addresses was hijacked by others, which frequently happens. We did not know Google was hacked before the New York Times contacted us – when they called, we told them we know nothing but they still made the story up. Our students are middle school graduates, and we train them to use software like Photoshop. If our students are so skilled they can hack Google, then what are they here for? ...I hope the media can be cautious about this report. We don't want to worsen US-China relations or draw national attention. Fox&apos;s Potential Torchwood: Captain Jack Will Not Be "De-Gayed"